Hello and welcome to exampundit. 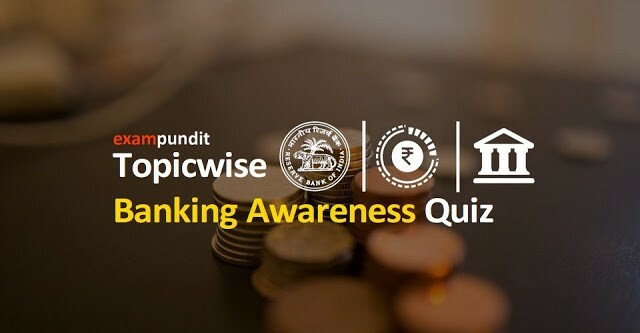 Since IBPS PO, Insurance & other Bank PO Exams are nearing, we will be providing regular Topicwise Banking Awareness Quiz for upcoming 2017-2018 Bank Exams. 1. In which of the following city, the headquarter of National Housing Bank is located? 2. National Housing Bank is a wholly owned subsidiary of _________. 3. What is the maximum bank deposit amount covered by DICGC? 4. Which of the following bank is NOT insured by the DICGC? 5. The deposit insurance premium is paid by whom to the DICGC? 6. If a bank goes into liquidation, DICGC is liable to pay to each depositor through the liquidator, the amount of his deposit upto Rupees one lakh within ___________ from the date of receipt of claim list from the liquidator. 7. In which of the following city, National Institute of Bank Management headquarter located? 8. Who among the following regulates Housing Finance Company? 9. What does the second “C” stand for in DICGC? 10. Deposit Insurance and Credit Guarantee Corporation is headquartered at _________.